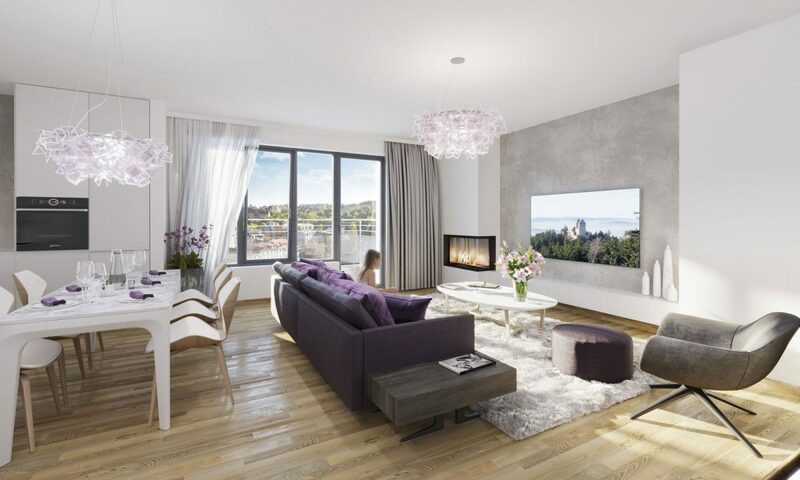 Victoria Košíře, the latest residential project by developer Real-Treuhand, is exceptional for its location in the tranquil Košíře quarter of Prague and its sensitive incorporation into the surrounding family homes. Private gardens created in the space between the three connected buildings will provide residents a pleasant place for relaxation. The project will include 76 apartments with layouts ranging from 1 + kitchenette up to 4 + kitchenette with an area of 32 sqm to 120 sqm. Residents are provided with storage cellars and parking spaces in an underground parking garage. The flats are ideal for families and people of all ages interested in owning their own home in a quiet residential quarter.